First produced in England around 1011, the kettle hat was the helm of choice of many foot soldiers and men-at-arms. As its name implies, this Archers Banded Kettle Helm would have been a good helm of choice for archers, thanks to its open design. The openness of it ensured that an archers vision would not have been impaired, ensuring that they can see with clarity and aim with ease, too. And best of all, this helm would still provide sufficient and solid protection from blows from above, either falling from on high or directed at the archers head! The hat features a curved brim, as well as a reinforced and riveted band across the meridian line, to help provide greater strength and resilience. The helmet is made entirely from 16 gauge steel, and it comes complete with an internal liner, for an added touch of comfort when worn. 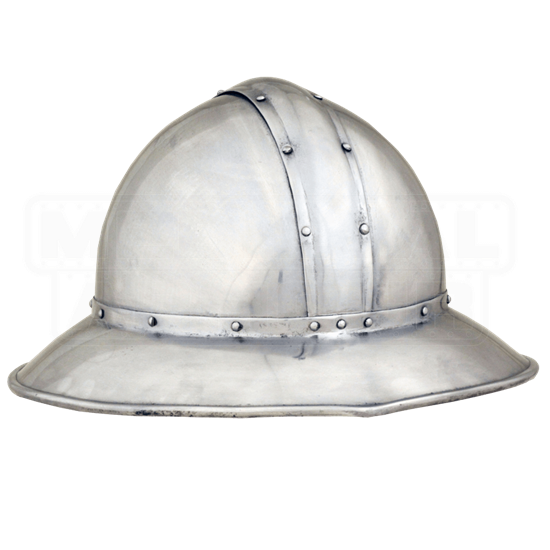 There is a reason that helmets like this Archers Banded Kettle Helm was favored by foot soldiers and infantry throughout the Middle Ages, and that is because it was highly effective. 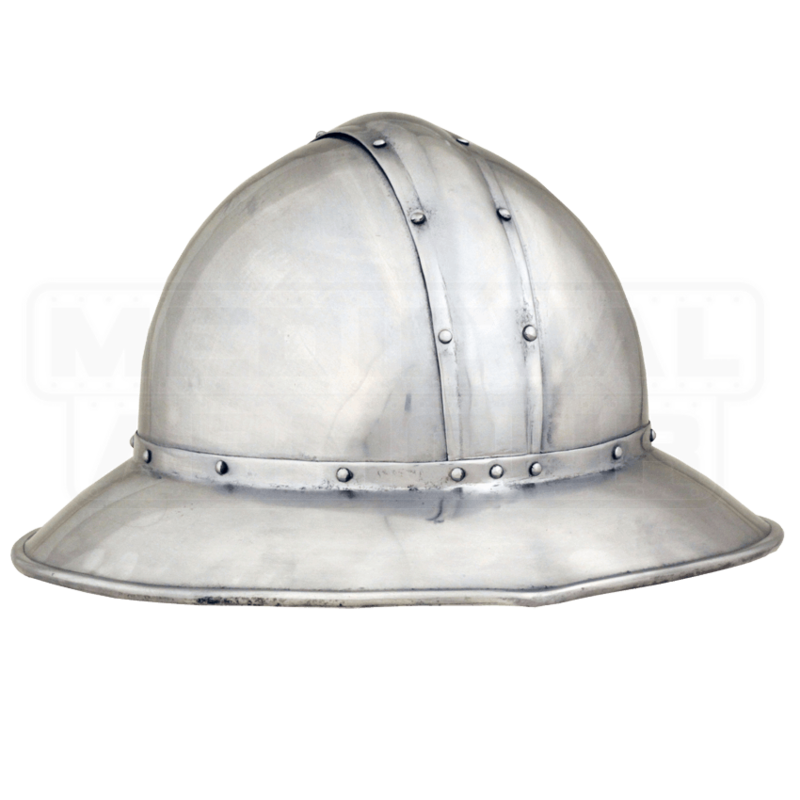 And now, that is claim that you can prove for yourself, all by adding this kettle hat to your armory.